Triathlon Coach and former elite Wes Hobson discusses cycling fundamentals with specific focus on cornering and hill climbing and descending. Wes was a professional triathlete who retired in 2003 after one of the most successful careers ever in the sport. In his 12 years of racing pro he was selected "Triathlete of the Year" by the USOC and was ranked top five in the USA for nine years. 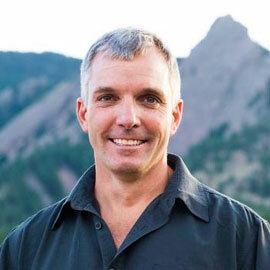 He is also the author of "Swim, Bike, Run" and was a producer and featured athlete in Endurance Films, "Triathlon ~ Through the Eyes of the Elite, Triathlon ~ Racing Faster and Rides ~ The Rockies: Volume 1." He went on to coach and was was selected by his peers as a member of the USAT Board of Directors and served on the US Professional Triathlon and Duathlon Committee. Also in Playlist "Science of Triathlon: Hills and Cornering"